S&B replacement filters are specifically designed for S&B air intake systems, and can bring your air intake back to life if the filter has seen better days. These washable reusable performance filters are easy to install & maintain, and with proper maintenance will last the life of the vehicle. Available in both cleanable cotton and dry disposable, there's the perfect option available for you. The cleanable cotton filter is constructed of an eight layer cotton media and is finished with red oil. After extended use, the filter can be cleaned and re-oiled, and put right back into your intake. The disposable dry filter offers nearly the same performance gains, but is a little less expensive, though it won't last the life of your truck. All S&B filters are tested to ISO 5011 filtration standards, and to top it off, are made right here in the USA. So, what are you waiting for? 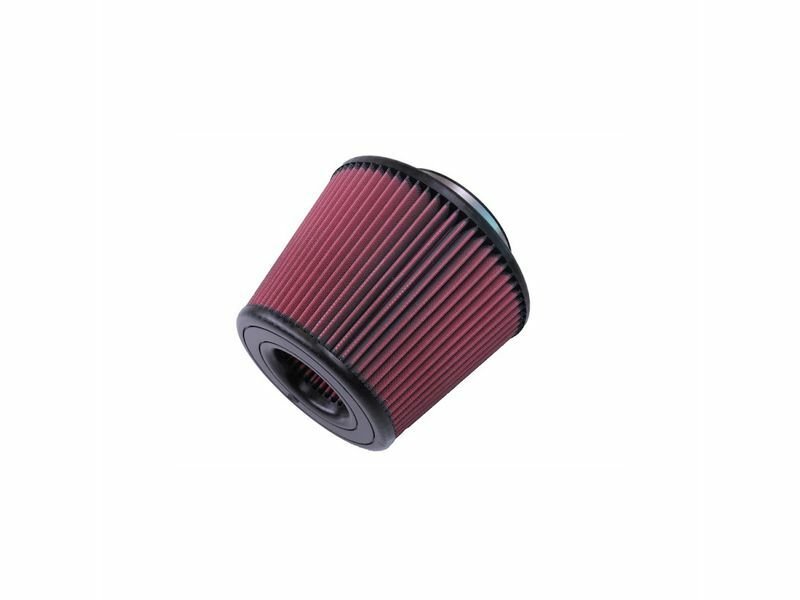 Breathe new life into your engine with S&B air intake replacement air filters today! S&B air intake replacement air filters are a direct replacement for the filter included with that S&B intake, making for an easy installation. If you have any questions, don't hesitate to give us a call at 877-216-5446.